Check out the latest Easter Egg Challenge here! We’re back with our traditional yearly Easter Egg Painting Challenge! For the fourth time in a row we’re inviting everyone for this fun and quick activity. Enter and you could win one of the ten full color 3D printed easter eggs, sponsored by Shapeways. Update: the winners are in. Congratulations everyone! Header image credits: Mieke Roth and Chaitanya Krishnan. When your egg is ready, click the ‘Publish to Sketchfab’ button and log in to your Sketchfab account (you can create one at this point too). Be sure to edit your model properties and add the #Easter2017 tag (see screenshot below). Get your model in before Tuesday April 25th 2016 at 11:59pm GMT. Prize: Full Color Sandstone 3D Print by Shapeways, delivered to your home. Shapeways will send each winner a full color 3D print of their own egg. 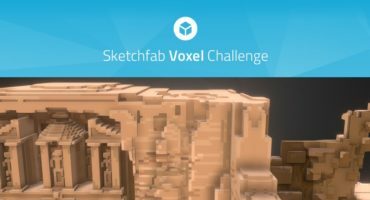 Contestants models must be uploaded to Sketchfab and tagged #Easter2017 to be considered. The winners will be contacted by Friday, April 28th. 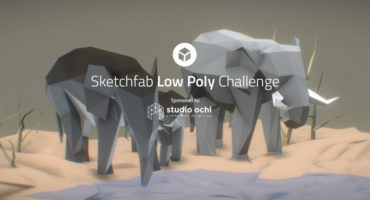 Yay, I really loved last year’s slection of Sketchfab Easter Eggs. Looking forward to see what people come up with for this year! Det er en spændende 3d visualisering konkurrence. Vi vil gerne deltage med vores 3D produkt æg, men det ser ud som om man ikke kan deltage med produktvisualiseringen fra en Tablet. Hi Michael, I believe you asked if you can use a tablet for this challenge. What kind of tablet do you mean exactly? A Wacom or similar will work fine. The Egg Painter may have some issues on iPads or other mobile devices though. This is great, always fun. * No ripping of models from anywhere on the Internet, all entries must be original works of art. * Using work that is not your own will immediately disqualify you. – How come there is a Minion egg, a Totoro egg etc. shown? I don’t understand what is meant by “original works” and “now your own”. I have to paint it by myself, not use a prepainted egg, right? But I can paint whatever I want, even BB-8 or a Disney Princess? It’s a generic contest condition, meaning you cannot rip complete assets and enter them as your own. You’re fine painting fan art. The eggpainter app is awesome. Check out our inkimals idea. Would love it if you could host the 3D files of the characters. They are optimized for color 3D printing and have the UVs unwrapped to be flat for 2D drawing too. I will upload the 3D files later. But happy to contribute to this to your app idea. And reach out if interested. Check out the project page. The app is created in Unity but offline at the moment. Here is my submission: Its not an egg… its the bunny. Hey John, fun, but not at egg 🙂 I have removed your models from the #Easter2017 gallery so they can all stay ‘on topic’. No please keep them as they are so we can properly compare all the entries. Thanks, and enjoy! How many entries can we make ?